What’s more of an American celebration than overeating? Overeating hot dogs. For sport. On friggin’ TV. 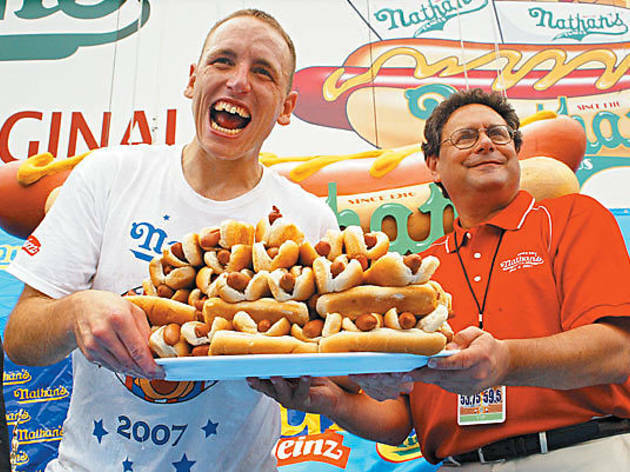 The world’s best-known competitive snack-down, Nathan’s Hot Dog Eating Contest, is back at Coney Island. Thousands gather to watch as the most talented gluttons prove just how many of America’s finest delicacy they can swallow (and keep down) in 10 minutes. The current record to break? 68 weiners.